Chanelle Washington is the visionary businesswoman behind Indigofera, a national beauty wellness and lifestyle company. As a driven CEO, her passion for nutruing self care, holistic beauty and small business, shines through in all of her products and presentations. Since her launch in 2000, she has grown her Indie beauty brand into a recognizable household name, using, social media, quality ingredients and creativity to propel Indigofera into new markets and higher heights. Chanelle's expertise lies at the intersection of beauty, balance, wellness, and entrepreneurship. As a speaker, Chanelle shares the benefit of her experience and insight through her signature "The Business of Beauty" Workshop Series and DVD’s, monthly seminars and teleconferences, and advanced training modules within the Indigofera Institute™. She is an inspiring speaker, authentically connecting and engaging with audiences from all walks of life. Her keen observation, life experience, style and enthusiasm brings an innovative edge and passion to her speeches, seminars, keynotes and lectures. As a sought after speaker and conference facilitator, She has been featured at events sponsored by: Alpha Kappa Alpha Sorority Inc. (Rho Theta Omega Chapter), Delta Sigma Theta Sorority Inc., The Power Networking™ Conference (sponsored by Frasernet.com), Work It Girl Career & Business Expo (sponsored by Pnk Dot Concepts), The School District of Philadelphia, Mocha Moms (African American parenting support group) and the Baltimore Natural Hair Care Expo. Her recent press and media appearances include BET.com BET Honors My Red Carpet, Miss Black Maryland, The Coil Review and Black Enterprise Blog . Chanelle is an accomplished businesswoman, and bootstrapping entrepreneur. She built her company on the foundation of outstanding customer service and and unique and appealing products.She used word of mouth marketing and referrals to transition from vending events, to a retail boutique and hair studio to a national beauty brand with products, books and continuing education centered around holistic beauty. It takes leadership to develop a vision of success, and Chanelle has cemented her role as a leader in the natural haircare industry. She has spent hundreds of hours presenting at beauty expos, training stylists, coaching entrepreneurs and most importantly mentoring the next generation of aspiring beauty professionals. Over the last decade, Chanelle has invested the time, energy and resources it takes to make her vision for Indigofera a reality! A Philadelphia native, Chanelle grew up with many creative, cultural and entrepreneurial influences. As a woman who has been intrigued by holistic healing, science, nature, aromatherapy and wellness, she studied constantly to develop her expertise. Committed to continual educational and professional development, Chanelle earned a Bachelor of Science in Nursing with honors from Temple University in 1998, and a Master of Business Administration from University of Phoenix in 2009. She is a proud member of Sigma Theta Tau International Honor Society for Nurses. What she learned from universities, research and testimonials from real women about the mind, body, spirit connection, led her to create the first Indigofera collection in 2000 "treasures for body, mind &; soul”, full of nourishing aromatic body care. Currently her best sellers are: Organic Hair Souffle, Savannah Shea Body Balm and Hydrating Skin Crème. In September 2006, she took another leap of faith by introducing the Indigofera Natural Hair &; Skin Studio, which developed a strong and loyal following in the Delaware Valley region. She approaches beauty from a holistic perspective, encouraging all women to 'Be Radiantly Beautiful'! Chanelle Washington’s reputation for excellence has gained her entrance to and exposure in a myriad of forums and business settings. In 2005 she was chosen from a group of innovative entrepreneurs to represent all of Philadelphia in the “Verizon Realize” Ad Campaign. In 2006 Indigofera and HR Energy co-sponsored “Success Habits” a national empowerment tour with noted speaker and author Wil Cason and in the same year, The Philadelphia Natural Hair Conference at the Philadelphia Convention Center featured Chanelle as a panelist and prominent presenter. 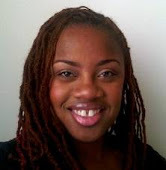 She has been a sought after exhibitor and presenter for the Baltimore Natural Hair Care Expo since 2007. As an entrepreneurial maven and beauty expert, Chanelle is also the author of two books, “Seven Gems for Entrepreneurial Success,” published in 2006 and "Reflections of Radiant Beauty", published in 2009; She is currently working on the second edition of "Reflections of Radiant Beauty" to be released in 2011. Her core clientele include professional wonen, celebrities and entrepreneurs across the U.S., the Caribbean, and Europe. Chanelle avidly believes in supporting charitable causes and reinvesting in community. Indigofera is a proud supporter of the Sickle Cell Association of the Delaware Valley and other noteworthy initiatives. Her in-demand consulting, sold out speaking engagements and signature plant-based hair and skin care line, is all apart of her commitment to wellness. She continues to garner positive testimonials, satisfied customers, and adoring audiences as she shares the the gift of Radiant Beauty with the world! "Creating Indigofera and our spectrum of beauty products grew out of my understanding of holistic beauty, spirituality and science. I love the joy of blending exotic butters, moisture rich nutrients, uplifting essential oils and fragrant herbs. There is so much energy, dedication and attention that goes into each product we make. Its an exciting and fulfilling process and my clients love the results! My Indigofera philosophy is something I now share with others who have a passion to deliver a tranquil transformative experience. I've spent the last ten years helping my clients dive into the remarkable world of natural, holistic beauty and rediscover the benefits of natural healing. My new book "Reflections of Radiant Beauty" gives you the tools to embrace the Indigofera philosophy from wherever you are. "Reflections of Radiant Beauty" contains over 100 pages of tutorials, reflections and affirmations on the holistic lifestyle. You'll learn everything you need to start living in tune with your body and the natural world. Enjoy the gift of Radiantly Beauty!" Arete Magazine: Generosity as a Lifestyle!